Okay, so I promised this review the other day, which is basically a very simple review of the Urban Decay pieces that my mum picked up last week. It should be noted that I have not used any of these products personally, and I do not own any of them, myself, either. This review is taken solely from how it looked on my mum, taking into consideration her normal make up habits, which was basically not very much! 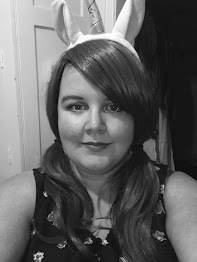 I was keen to do this review, because as we get older, many women stop wearing make up, because we worry about looking like "mutton-dressed-as-lamb", over-the-top, and downright ridiculous. But, the truth is that whilst no, you're not going to look good wearing the shades you wore in your twenties, that does not mean that you are going to look bad in make up completely. It's all down to picking what suits you, your skin tone and your personality. That's not to say that you have to wear make up, because some of us just aren't happy with wearing it, so never feel pushed into it. Wear whatever you feel confident to wear, and always be yourself. Surreal Skin Mineral Make Up - Anyone who reads my blog, knows that I am a huge fan of mineral cosmetics, and if I didn't already have a really good mineral foundation, I would seriously want this one!The great thing about mineral cosmetics is the fact that they are 100% natural, without any chemicals that are harsh and damaging. Mineral-based make up is great for my mum, because as I said she doesn't wear make up, and her biggest fear was of foundation that would look "cakey" and that it would be obvious that she was wearing it. However, mineral foundations are so light, that it's almost as if you don't have any foundation on. My mum got it in Nirvana, which gave her a kind of golden look and made her face look really bright. Everytime I looked at her, after she had this foundation on, I couldn't believe how golden her skin looked. Half Baked and Sin Eyeshadows - Half baked is a gorgeous bronze gold colour, whilst Sin is a kind of champange-colour. Worn over a Primer Potion base, half-baked really brightened up the grey/blue of my mums eyes, complemented with Underground 24/7 eyeliner (which she didn't purchase, but it described as metallic taupe, and is a greyish brown colour. She chose not to buy the eyeliner, as she already has brown eyeliners). Ordinarily, my mum would use a white eye shadow, as a highlighter on her brow bone, however, as the Assistant stated, white wasn't necessarily a good choice for my mum, and like what I choose to use myself, suggested a champagne-coloured highlight instead, for a more subtle, yetshimmery look. I can't really imagine my mum wearing glittery make up, but whilst both Half-Baked and Sin, are shimmery shades, the shimmer is actually quite subtle, and I think, looks really, really great on her. Afterglow Blush - I'm really not surprised to hear that is a called "afterglow" blush, because this really does exactly what it says on the tin! My mum has it inFetish, which is a "light pinky plum", with a little bit of shimmer,and boy does it work incredibly well alongside the foundation, at brightening up my mum's skin. It was such a warm colour, that was softening, so only a gentle dusting of powder was really needed for it to look fab. According to the Urban Decay website, Afterglow Blush contains Chamomile, which is known for it's ability to soothe. This makes the blush anti-inflammatory, capable of relieving dry skin (always a good thing), and is rich in vitamin B. All of this makes it perfect for even sensitive skin. This is such a nice blush, that when mine runs out (noting that I don'tuse blush that often), I could be really tempted to buy this one. That, however, will probably be a long time in the future! Brow Box - Personally, I think that this is a really nifty little box-set. I'm not 100% certain which shade my mum bought, because I didn't realise that they came in shades (can you tell that I don't use this kind of product?). However, from "brow"sing (haha, I know, bad joke!) the Urban Decay website, I'm fairly certain that she probably bought Beige Betty, which is "medium". To help make sense of what exactly "medium" means, the other shades are: Brown Sugar, which is "dark"; Gingersnap, which is "auburn"; and Honey Pot, which is "blonde". It comes with two shades, which can be used together to create a natural look, or seperately depending on whether you are going for a subtle, or more "full-on" kind of look. There's also a set of tweexers, so that you can eradicate those sneaky stray hairs. However, the best bit for me, was that there is a "secret" compartment, which neither my mum nor I initially spotted, containing wax that you rub over your eyebrows, in order to set the powder, ensuring that it lasts longer.